Parker found the tv this weekend. 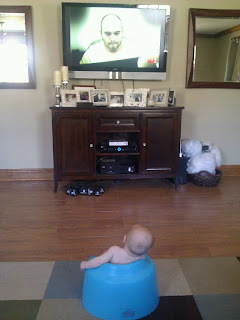 We put him down to play for a bit and within a few minutes he had rolled onto his side to watch tv. He would have layed there for most of the afternoon if we would have let him. We sat him up in his bumbo for a better view.